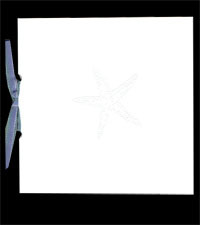 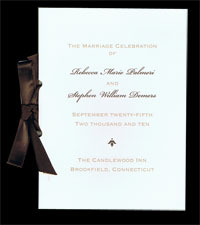 Alan's has tons of choices for your booklet programs. 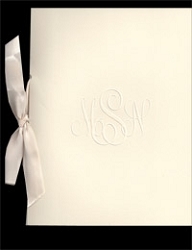 You can choose a simple folder, with or without ribbon. 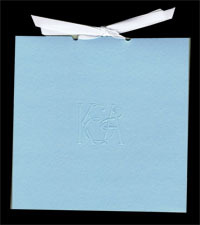 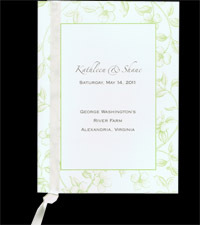 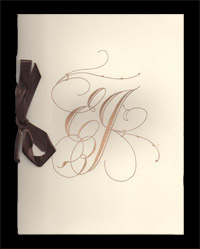 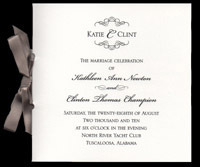 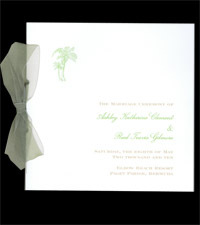 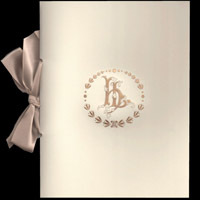 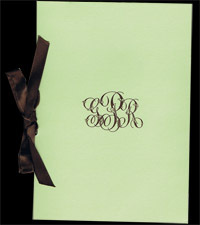 You can add additional insert pages, if you have a long ceremony or a lot of text. 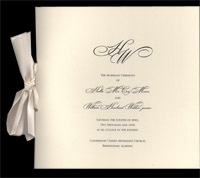 Please email or call us if you have any questions, if you need to add an additional insert page, or for quantities over 500. 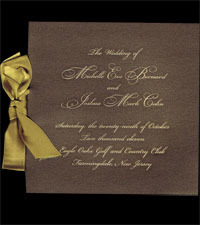 If you would like to change an item from engraved to thermography or vice versa, and we don't show a similar sample, please email or call us and we will be glad to help you.